Chronic knee dislocations are among the most complex set of knee pathologies managed by orthopedic surgeons. They represent a broad range of diagnoses that involve two to four injured collateral and/or cruciate ligaments. Also, there are frequent concomitant injuries to the posteromedial and posterolateral corners of the knee and the menisci with possible resultant malalignment, neurovascular injuries, and venous thromboses. These patients often present with a knee that is simultaneously stiff and unstable. 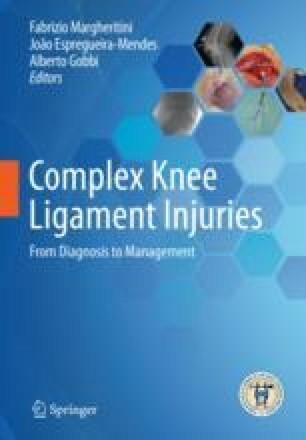 The purpose of this chapter is to provide a reproducible way to determine a complete diagnosis followed by detailed nonsurgical and surgical management of the knee through the postoperative rehabilitation process.